At the time of the interview Richard was starring in one of the lead roles in one of the much loved musicals in the West End of London, Priscilla Queen of The Desert. 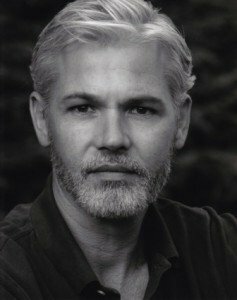 Having appeared in film, television and theatre both in Australia and here in the UK, Richard has a glittering array of credits. This includes starring on television as Sam Kratz in Neighbours, Dr Lachlan Frazer in Home and Away and more recently, Johnny Foster in Emmerdale. It is difficult to choose highlights from his theatrical career as there are so many, but a select few of his stage credits include The Misanthrope (Melbourne Theatre Company), Noël Coward’s Design for Living (Sydney Theatre Company) and The Will (Harold Park Playhouse). Since coming to the UK, and together with many other productions, Richard has performed in UK tours of Footloose The Musical, Daisy Miller, Dial M for Murder and of course Priscilla Queen of The Desert. Priscilla Queen of The Desert concludes its run at the Palace Theatre on 31st December, 2011 so book tickets now and see a fabulous show! Taking time out from his busy schedule this week, Richard very kindly answered a few questions about himself and his career, and of course Priscilla. Before the age of 13 you had lived with your family in three different countries. What are some favourite memories of that time? I was born in Melbourne, Australia, but we moved to Hong Kong when I was 1. We stayed there until I was 8, then we moved to Malaysia for 5 years. I have very fond memories of Hong Kong during the 70’s, particularly of going to the beach at night during the moon festival. The beach would be covered with coloured lanterns. Quite a magical sight for a small child. At what age did you decide that you wanted to perform on stage? I remember coming to London on holidays when I was about 7 or 8 and my parents took us to see Marcel Marceau, and also to a production of Noel Coward’s Private Lives. I remember thinking, That’s what I want to do when I grow up. You trained at Victoria University in Melbourne before attending the National Institute of Dramatic Art (NIDA) in Sydney (1990-93). What are some memorable moments of those times? Looking back at drama school seems like a life time ago! I do remember being in voice and movement class, rolling around on the floor and making animal noises and grunting a lot. I don’t think any of us could ever quite understand the point, but it seemed like the thing to do as an acting student. Cate Blanchett was also in my year at NIDA. I remember working on a scene from Tennessee Williams The Glass Menagerie. She was Laura and I was the Gentleman Caller. What was your professional debut as an actor on television and stage? My professional debut on stage was in a Musical called How to Succeed in Business Without Really Trying. It starred Tom Burlinson who was made famous by the film The Man from Snowy River. I was in the ensemble. I was 19 years old. The choreographer was Ross Coleman, who also choreographed Priscilla. My professional television debut was as a guest in a series called E-Street. I landed the role of Sam Kratz in Neighbours shortly after that. I was 24 years old. You have performed in numerous stage productions in Australia, including playing Julian in The Misanthrope, Otto in Design For Living and Chevalier in The Will. What are the highlights of your time on stage at that time? I adored playing Otto in Design for Living. It is such a brilliant and funny play, and such a gift of a role. We were lucky to have a very talented and celebrated director called Rodney Fisher. He taught me so much about the rhythm of the language and gave me the confidence to be able to shine in the role. I also loved working on The Misanthrope, at the Melbourne Theatre Company. It was directed by Simon Philips, who also directed Priscilla. It’s wonderful to have that feeling of coming full circle and working with him here in London after so many years. You have appeared in three major soap operas: Home and Away, Neighbours and Emmerdale. What is it like being part of such popular TV series? It’s an incredible feeling, being part of a popular TV series, and particularly at such a young age. I learned so much about working with cameras and the craft of acting for film and television. I will always be grateful and humbled by the opportunities that have come my way as a result of having developed a profile in TV. You have been on tour in the UK with Footloose The Musical, Dial M For Murder, and There’s No Place Like A Home: what are your favourite memories from touring in these shows? It’s always the people that you are working with that make an experience memorable, and I was fortunate to make some great friends while on the road in those productions. Also, as I had just moved to the UK, it was really valuable to have the opportunity to see so much of the country and in such an in-depth way. Unlike anywhere else in the world, Britain has such a strong culture of theatre. I was amazed at how many beautiful and well-attended theatres there are in all these different towns and cities. What were the rehearsals like for Priscilla Queen of The Desert and then the first few shows? To be honest, the rehearsals were terrifying. It’s such a huge role, and there is so much to do. Costume changes on stage, learning routines etc. One never feels as though there is enough time, even for a relatively small role, so this seemed like a mountain to climb. I was lucky in some ways that Oliver Thornton and Don Gallagher had been in the show for some time, so I was able to rely on them for support and guidance. It also meant that our resident director and choreographer were able to give me their full attention and help. What is your favourite scene in the musical? I really enjoy the final scene in the production, where Bernadette, Felicia and I sing We Belong. It is a very rousing song, and it’s also a song that I remember singing in my auditions, so to be on stage, at the Palace Theatre, singing it ‘for real’, always pulls at my heart strings. What do you like most about the show and what has made it so popular? What I love about the show, and what I believe has made it so popular is the fact that it has such a ‘heart’ to it. The often hilarious campness, colour and movement are only a part of it. It’s not just a comedy about 3 drag queens. It’s a story about friendship, belonging, and reconciling oneself with one’s past experiences and mistakes. By the time Sunday comes around, I’m like a bag of broken biscuits. Sleep in, long walk in the park with the dog, ending up at my local pub, is pretty much all I can manage. Priscilla is closing on 31st December, 2011, what are your plans once the show has closed? My immediate plan is to celebrate New Years Eve with my closest friends. Beyond that is an open book; A concept that I’m not only very familiar with but that I have grown to love and thrive off. Any message you would like to say to your fans? I hope you enjoy watching “Priscilla” as much as I love being part of it.